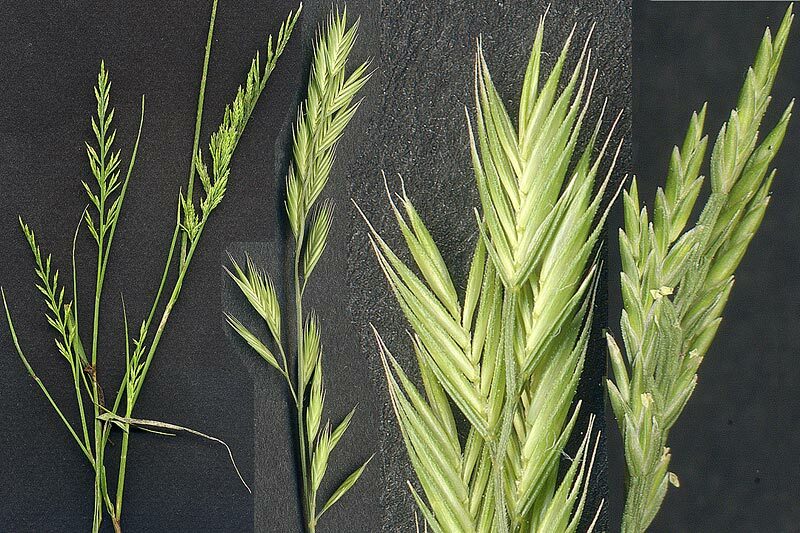 Vulpia octoflora.Bob Harms.w3.biosci.utexas.edu (Accessed 5/2014). Vulpia octoflora is an annual C3 grass (Ludwig and Wondzell 2010), 10-60 cm tall, sometimes hairy. Leaves very fine, to 0.1 cm wide. Flower spikelets 5-11 flowered, 0.5-1.2 cm long, florets closely overlapping, lemma 0.3-0.7 cm with an awn 0.1-0.6 cm; inflorescence narrow, erect, 3-20 cm long, few branches, often spike-like May-June. Habitat: Dry, open, sterile soil.